Lots of people think that weddings are special when all the little details are perfect, shiny, expensive and have all the hip brands etc. Lots of people think a wedding is perfect when it’s in the most amazing venue. Lots of people think that a great wedding is when there’s an awesome band playing. No, no and no again. The best weddings are about people, people who will care about you, people that aren’t afraid to let their inner self free in front of their friends and family. The best weddings are a roller coaster of joy, happiness, tears, cheers, hugs and love. 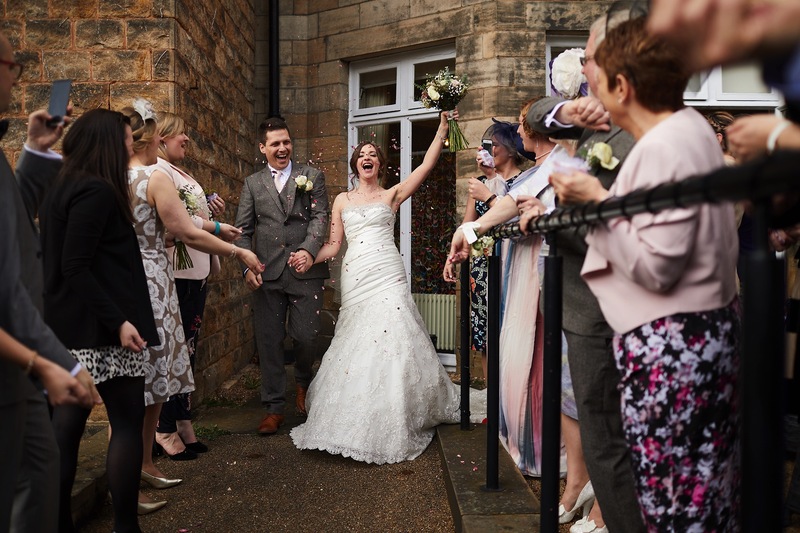 If you want a lesson in how to get a perfect wedding day, then look no further than Joe and Maddy, just about all home made, no big flashy band, no lavish flower displays, the most fun home made karaoke (Japanese inspired), and one good dollop of human love! Cake – Maddy’s mum’s market stall friend, ‘Tom the Cheese Man’!! Stationary – All done by Joe – he also made the cake toppers and designed and made both our rings!